This patient had a left hemimandibulectomy performed (removal of the left side of his lower jaw) to remove a tumor. These patients experience a good quality of life and good oral function after surgery. 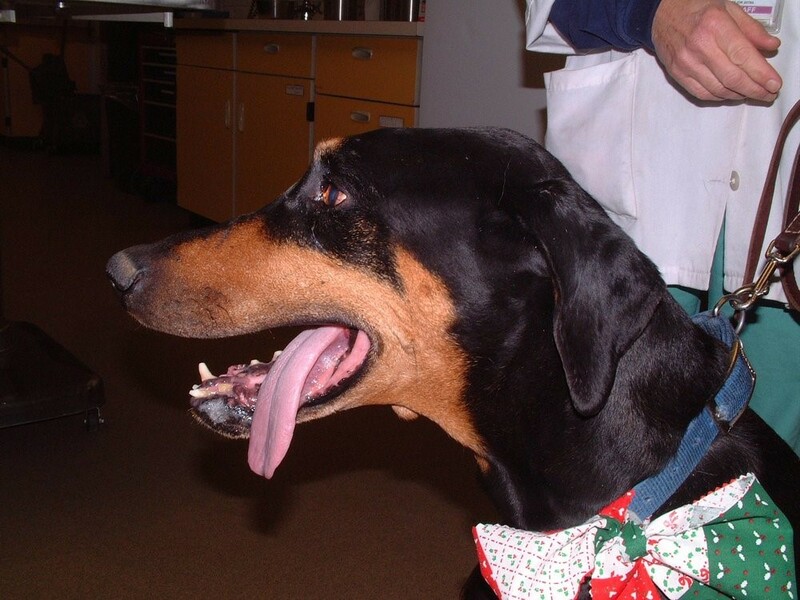 Oral cancer in dogs is fairly common in dogs and a variety of benign and malignant tumors can be found in the mouth. The most common benign tumors are papillomas (wart-like masses) and epulides that arise from the periodontal ligament (the connective tissue that attaches the teeth to the underlying bone). The most common malignant tumors are melanomas (tumors of pigment-making cells), squamous cell carcinomas (tumors arising from the lining of the oral cavity) and fibrosarcomas (tumors arising from connective tissue). Tumors can arise anywhere in the mouth but are most commonly found on the gums of the upper or lower jaws. Signs concerning for oral cancer include difficulty eating, slow eating or dropping food, weight loss, excessive salivation or blood in the saliva, a rotten odor from the mouth, facial swelling or disfiguration or finding a mass in the mouth. If you note any of these signs in your pet, you should see your veterinarian for evaluation. Usually, it is not possible to differentiate the type of tumor based on appearance and a biopsy under anesthesia is typically needed for diagnosis. Once a diagnosis is made, benign tumors can generally be surgically removed and cured, while malignant tumors usually require more testing before further surgery or treatment is planned. Malignant tumors of the mouth have the potential to metastasize (spread to other areas of the body). Testing for metastasis is called staging and usually involves evaluating lymph nodes and lungs and sometimes the abdomen. Malignant tumors of the mouth also often invade into the underlying bone, so dental x-rays or a CT scan may be required for treatment planning. Surgery is the ideal treatment for oral tumors that have not metastasized. Because malignant oral tumors can be quite invasive, a successful surgery often requires the removal of underlying bone, which may involve removal of portions of the jaw. Depending on the size and location of the tumor, surgery to completely remove the tumor may not be possible and other treatment options such as radiation therapy or chemotherapy could be considered. For some oral cancers, such as squamous cell carcinomas or fibrosarcomas, surgery may be curative if the tumor is found early and is in a location where an aggressive surgery can be performed. Other oral tumors, such as melanomas, are unlikely to be cured with surgery. Still, aggressive surgical removal is recommended if possible, as it improves quality of life and extends survival. Oral melanomas often behave aggressively, and even if they can be surgically removed, they frequently metastasize to other parts of the body within 1-2 years or less. Regardless of the type of tumor, patients fare better if the cancer is caught and treated early. For this reason, regular exams and dental procedures through your veterinarian are important. It is also a great idea to brush your dog’s teeth or at least start looking in their mouth regularly. It helps to get them used to oral exams and allows you to find any concerning changes early. Dr. Sutton Howard is the head of oncology at MissionVet Specialty & Emergency. She graduated from Texas A&M University College of Veterinary Medicine in 2011. 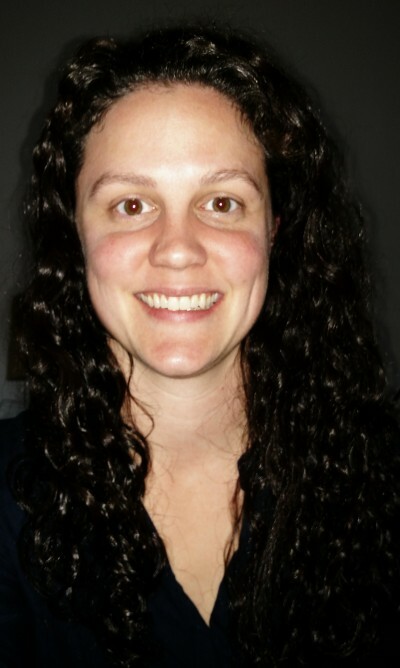 She completed her internship at Auburn University then returned to Texas A&M for her residency in medical oncology. Her interests include improving the quality of life for patients with cancer and diagnostic cytology.